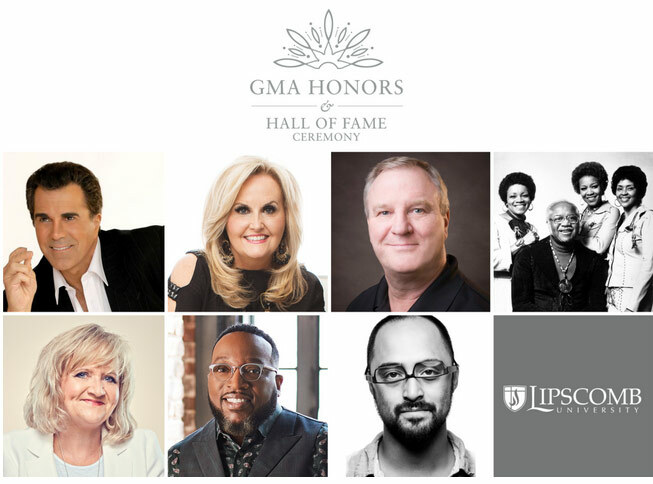 NASHVILLE, Tenn. (February 16, 2018) – The GMA (Gospel Music Association) Foundation announced its inductees and honorees for the 5th Annual GMA Honors and Hall of Fame Ceremony set for Tuesday, May 8, 2018 at Lipscomb University's Allen Arena. This year's GMA Hall of Fame inductees include CCM artist Carman, award-winning Southern Gospel artist Karen Peck Gooch, legendary Gospel family group The Staples Singers and acclaimed producer Greg Nelson. The event also honors individuals and organizations that are impacting our culture both past and present. This year's honorees include Chonda Pierce for Branches Counseling Center, Bishop Marvin Sapp, Ryan Lampa for People Loving Nashville and Lipscomb University. Performers and presenters will be announced in the coming weeks. For ticket and table sponsorship information, please visit www.gospelmusichalloffame.org. For 39 years, the GMA Foundation has honored well-deserving individuals and groups through an annual induction ceremony into the GMA Gospel Music Hall of Fame. Artists are eligible for inclusion in the GMA Gospel Music Hall of Fame after 25 years of participation in music and ministry. Nominees are chosen by GMA's Hall Of Fame Committee which is comprised of historians & industry leaders from the various gospel music genres. Inductees are selected by 200 electors from across the industry in four categories: CCM, Gospel, Southern Gospel and Non-Performing. Nominees can be submitted year-round for consideration by the public at www.gospelmusichalloffame.org.